Sometimes people ask me why I use the term "Abba" or "Daddy" or "Papa" to talk about God. As far as the Trinity goes, Abba refers to God the Father, who created us for relationship with Him. It's a term of tender endearment by a beloved child who has an affectionate, dependent relationship with their father. God walked with Adam and Eve daily in the Garden of Eden (Gen. 3:8). God wanted to spend time with His crowning creation that was made in His image. To walk with them means closeness, communion and intimacy. God wanted Adam and Eve to live in beauty and provision - no sickness, no death, and no lack. Man ruling over a perfect, blessed world was God’s perfect will, but they gave it all away to Satan. Satan is called the "prince of the power of the air" (Ephesians 2:2). Think of the evil that can come from bad weather. There are Christians who think that God sends bad weather to judge people. If God is in control of the weather, why would Jesus rebuke the storm and winds? The Bible also calls Satan the "ruler of this world" (John 12:31) and we know that his methods of ruling are always against us and one of the ways is to try to deceive us as he did Adam and Eve. He wants us to believe that God is not good. God walked with Adam and Eve daily in the Garden of Eden (Gen. 3:8). 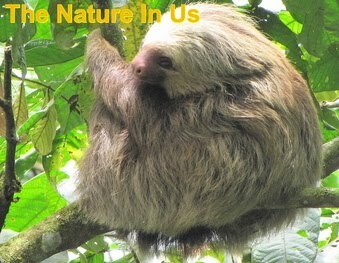 God wanted to spend time with His crowning creation that was made in His image. To walk with them means closeness, communion and intimacy. It was a special time of day for all concerned. Jesus referred to God as His Father more than 150 times and spoke of God being "our Father" 30 times. The term has become so familiar in the church that we don't even think about the significance of it. Jesus instructed us to call God "our Father" because it reveals the gentle, kind and loving nature of God (I John 4:8). 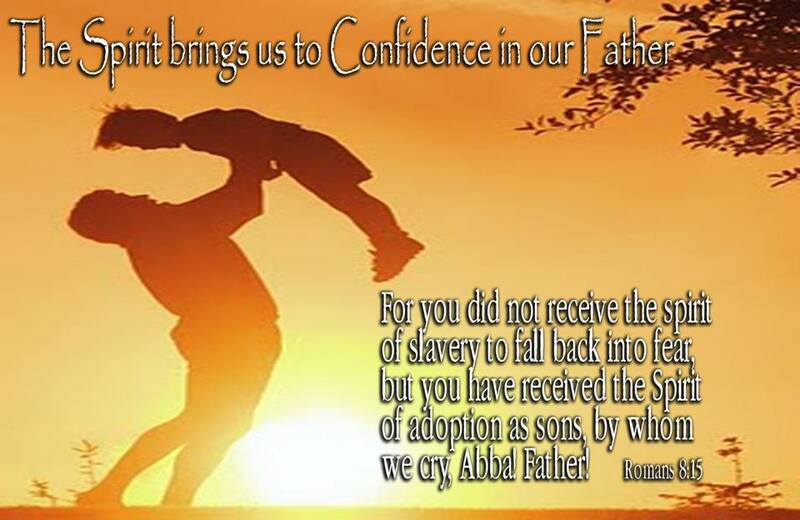 Paul used the term "Abba Father" in Romans 8:15, which was an affectionate term that a child would use for his father, much like the word "Daddy" or "Papa" is used today. "And because ye are sons, God hath sent forth the Spirit of His Son into your hearts, crying, Abba, Father" (Galatians 4:6). I like to picture a scene from "Anna and the King" movie. It's very similar to "The King and I" but in this movie, the king has many children from many wives, but there is one little girl that has especially stole his heart and that becomes obvious as the movie progresses. In one scene he was doing what kings do with a whole crowd of people bowing around the throne, while this little loved daughter comes in through the huge doors and runs down that path right to the throne and Daddy's arms. That's where I go when life gets too overwhelming. Many times we have no way to change life's circumstances, but the peace of God that can come from knowing that our Abba loves us and that "this too shall pass away" fills our cup to overflowing. We rest in His loving arms and by faith take hold of His provision for us. The devil never stops desiring to steal from us or to kill and destroy our very lives. Paul prays for us in Ephesians 3 that we might "grasp how wide and long and high and deep is the love of Christ, and to know this love that surpasses knowledge - that we may be filled to the measure of all the fullness of God." In John 14, Philip asked Jesus to show them the Father, and Jesus replied in verse 9, "Have I been with you so long, and yet you have not known Me, Philip? He who has seen Me has seen the Father...'' Hebrews 1:3 tells us that "The Son is the radiance of God's glory and the exact representation of His being." Exact representation. All that Jesus was and is shows us who God the Father is and the Bible itself tells us that God is love. He doesn't just love us, He is love to us (I John 4:16). Many times people have an intimate relationship with Jesus, but don't really know how to mange the Father part of the Trinity. 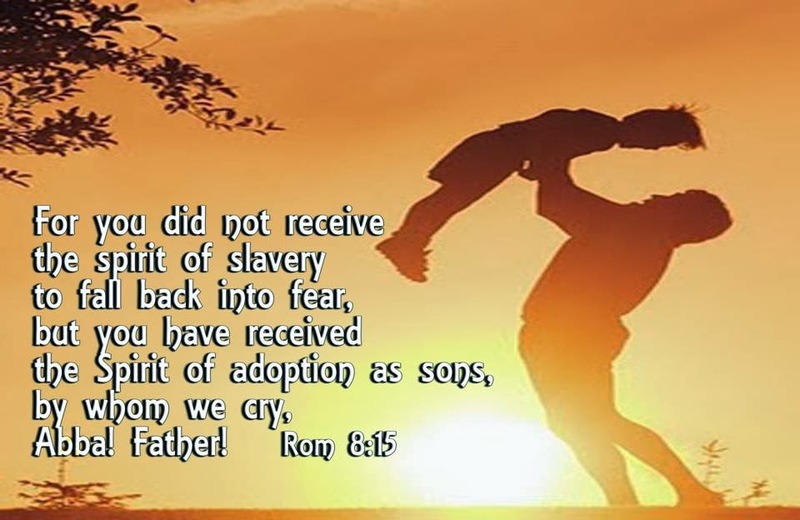 Sadly there are many people that have had horrible earthly fathers and that title alone is enough for them to avoid God the Father. We were all given freewill when God created man and that means we all get to choose how we will live this life, whether as a moral, loving person or as one who allows the devil to use them for evil. We were all created in His image which is good, but we all have a choice as to what we make of ourselves. Don't blame our Father for the choices mere men make for themselves. Psalm 27:10 tells us that "when my father and my mother forsake me, the Lord will take care of me." When we run from God the Father we are forsaking the great comfort that He can offer us. Instead of avoiding Him, we need to run like the King's daughter down that aisle to the throne and her Father's arms. There we find the only true comfort designed for our souls. Death is something which is not in our hands, no one can become immortal with elixir of immortality, Thanks for sharing this in here.